January 22, 1973 is the date of the infamous Roe v. Wade decision that legalized abortion from birth to full term delivery in the United States of America. The decision has divided our nation, churches, leaders, and families as people take their position on polar opposites or attempt to believe there is a comfortable place somewhere in the middle. To mourn the loss of abortion, the local Right to Life chapter hosts, Together for Life, on this date. For many years I have been asked to emcee the event and to ask a woman who has experienced an abortion to share her testimony. Every year the brave women who share their testimonies evoke raw emotion from their few moments of sharing their abortion stories. Their faces are streaming with tears. Attendees gathered for the event fight back or are overcome with tears. 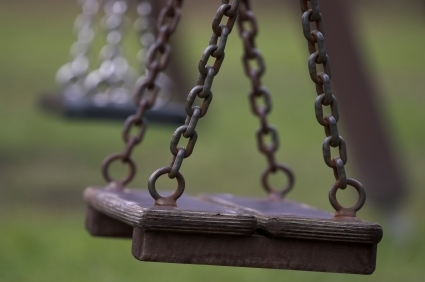 These are tears of empty swings sometimes never to be filled. The tears represent the regret over what could have been. The tears reveal the hidden shame, grief, remorse, and the emotional and spiritual downward spiral often associated with the decision to abort. Tears unveil the pain of the permanent abortion meant to deal with what was temporary in nature. Tears communicate the unplanned pain of abortion to deal with an unplanned pregnancy. These are tears of empty swings sometimes never to be filled. This year was different. Yes, there were tears from a testimony of an abortion. However this year, in addition to the post abortion testimony, I was asked to bring a client who was abortion-minded but chose life for her unborn child. Let me tell you there were tears. They were a different type of tears all together. They were the tears of the unplanned joy associated with an unplanned pregnancy. They were tears of a life transformed by making the choices to live life through the hardships. Was there an unrealistic view of the hardship? No, the hardship is real, but the joy of a precious son playing in the background made all the difference compared to the empty arms and heartfelt torment of the previous testimony. The unplanned pregnancy resulted in the unplanned joys that never would have been realized had she aborted. Have you ever pressed through something difficult and come through on the other side realizing although it was not easy it was worth the struggle?